In case you’ve been living under a rock somewhere, the United States Postal Service is not in operation on Christmas day. Sure their oath says nothing will keep them from delivering the mail, but the truth is there are several holidays on which no mail is delivered, and post offices are either closed or have special holiday hours. Post Offices will be open on Christmas Eve, December 24, and New Year’s Eve, December 31, however, many will shorten retail lobby hours and close at 12:00 noon. Regular mail delivery will take place, however, Collection Box pickup times scheduled after noon on these days will be moved to 12:00 noon. Customers needing service after 12:00 noon on either December 24 or December 31 should contact their local post office for information on locations of post offices that will maintain normal retail hours and lobby collections on these days. Post Office phone numbers can be obtained from our Find a Post Office tool or by calling 1-800-ASK-USPS. Post Offices will be closed on Christmas Day, December 25, and New Year’s Day, January 1. No delivery service (except for Sunday and Holiday Premium Express Mail) is scheduled for these holidays. 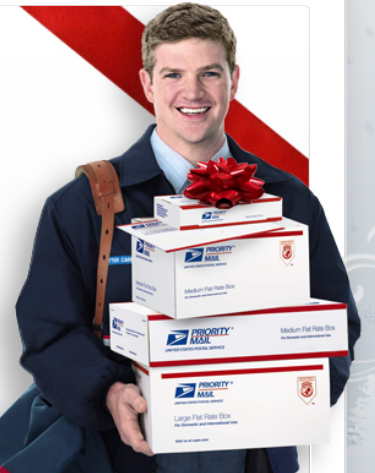 Regular retail service and mail delivery will resume on the Mondays following the holiday, December 27 and January 3. 50 queries in 1.874 seconds.